Michael Steinberg, the founding editor of the literary journal, The Fourth Genre: Explorations in Nonfiction has written, co-authored and/​or edited six books and a stage play. 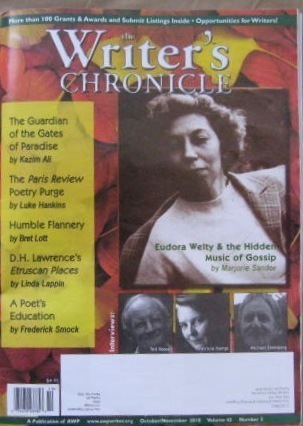 In 2003, Still Pitching won the ForeWord Magazine/​Independent Press Memoir of the Year. An anthology, The Fourth Genre: Contemporary Writers of/​on Creative Nonfiction (with Robert Root) is in a sixth edition. Steinberg was a Professor of Language, Rhetoric, and American Cultures at Michigan State University for 30 years. And for five summers he co-directed the Michigan State University Overseas Writing Program in London. For seven summers, Steinberg was also the co-founder and co-director (with Robert Root) of the Traverse Bay Writing Workshops for Teachers. 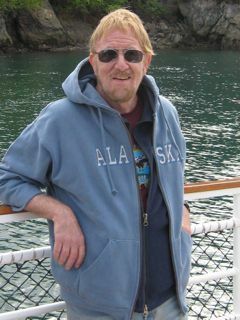 In addition, he’s served on the Vermont College and Stonecoast/​University of Southern Maine MFA faculties. Currently, he’s the Creative Nonfiction Writer-in-Residence in the Solstice/​Pine Manor College low residency MFA program in Boston. Steinberg has been a visiting writer at many colleges and universities. He’s also taught and presented workshops, craft talks, panels, and seminars at several international and national writers' conferences--among them, the Prague Summer Writing Program, the Paris Writer's Conference, the Geneva (Switzerland) Writer's Conference, the Kachemak Bay (Alaska) Writer’s Conference, the California State University Summer Arts Program, the NYU Summer Intensive, the Chautauqua Summer Writer’s Workshops; and most recently, the Nonfiction NOW International Conference in Reykjavik, Iceland. In 2015, The Associated Writing Programs (AWP) chose him for a Spotlight Award—an acknowledgement of his lifelong dedication to writing and teaching. Last year, Steinberg served as the contest judge for the AWP Award Series Book Prize in Literary Nonfiction. He’s also been the judge for the PEN New England Nonfiction Contest, the Bellingham Review/​Annie Dillard Award, the Donald Murray/​Writing on the Edge Writing Prize for Writing on the Edge, and the National Junior College Award for Creative Nonfiction. This year he’ll be an evaluator for the MacArthur Foundation. In July 2018 Carmike Books released Word Painting: Whimsies, Dreams and Playful Fantasies. It is a collaboration of poetry written by Michael Steinberg with corresponding paintings done by Carole Steinberg Berk. 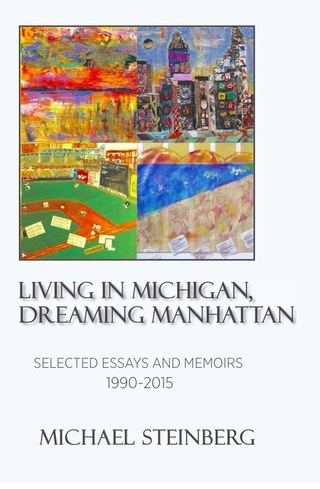 In August 2017, Carmike Books released Michael Steinberg’s Living In Michigan, Dreaming Manhattan--a collection of selected essay/memoirs on/about childhood, baseball, place, aging, travel, teaching, and writing. -- In December, Talking Writing published my short personal essay/​memoir, "Living in Michigan, Writing New York," It's accompanied by Carole's Steinberg Berk's painting "Northport Reverie." Click on talkingwriting.com "Current Issue" at the top of the page and scroll down to "Personal Stories." --Nonfiction Now Conference, Phoenix, 1/​1-4, panel on Alternate Lives and interview for the documentary film, "How Do You Know What You Believe?" --Visiting writer--Suzanne Strumpet Shea's creative nonfiction workshop-- Stonecoast MFA Program, Freeport, Maine, July 13. --Judge for the Sport Literate creative nonfiction essay contest. $500 goes to the winner. Deadline is July 19, 2018. 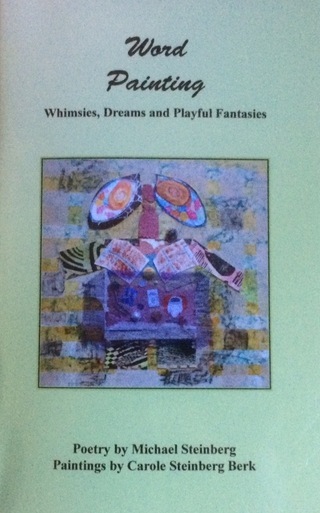 For more information, here's the link www.sportliterate.org then click on Creative Nonfiction Essay Contest. --Panel "Beyond the 'I' : How Research Enlarges Personal Narratives"
--In late August, Carmike Books released LIVING IN MICHIGAN, DREAMING MANHATTAN, a collection of selected personal essay/​memoirs on/​about childhood, baseball, place, aging, travel, teaching, and writing. --Book Review: " A Craft He Would, Thankfully, Never Learn," a review of Donald Murray's memoir My Twice-Lived Life" River Teeth (online), January 9, 2017). --Associated Writing Programs (AWP) National Convention. -- Panel: "What's In A Name? Using Real and Made up Names in Memoir." --Panel: "The 'Vein of Jade': " What a Single Detail Can Reveal in Literary Nonfiction." "When Writers Repeat Themselves: New Disguises or Fresh Approaches? " -- Writer-in-Residence,:Solstice/​Pine Manor College MFA Summer Residency, Reading and Workshop (on/​about personae/​unreliable narrators) Boston, MA July 11-13. "Living in Michigan was chosen as a "Notable Essay" in the The Best American Essays annual anthology (2016). It was also nominated for a 2016 Pushcart Prize. --NonFictionNow Conference, University of Northern Arizona, Flagstaff AZ, October 30-Nov 1, 2015. Still Pitching on www.dzancbooks.org, www.amazon.com, Kobo Books and Barnes and Noble --TriQuarterly, "Did It Really Happen That Way? : The Memoirist As Unreliable Narrator," adapted from an AWP panel talk in March, 2013. --TriQuarterly, "The Unreliable Narrator in Creative Nonfiction" (href="http://www.triquarterly.org./views/did-it-really-happen-way-memoirist-unreliable-narrator">Triquarterly . In addition to founding the award-winning journal Fourth Genre: Explorations in Nonfiction, Michael Steinberg has written and edited six books and a stage play. 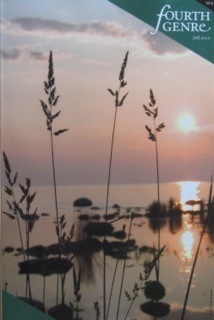 An anthology of Michigan writers and writing. Now in a sixth edition, The Fourth Genre is a standard classroom text in a number of Creative Writing and advanced Composition courses. The Writer’s Way is one of the first textbooks to use a process approach to teaching writing. From 1990 to the present, Steinberg has published numerous personal essays and memoirs, as well as craft essays and interviews in dozens of literary journals--Missouri Review, New Letters, Florida Review, AWP Writer’s Chronicle, among many others. His personal essays and memoirs have won several national awards, including The Missouri Review Editor's Prize, The National Harness Racing Writers of America Award for Feature Writing, a Writing Self Award, and a Roberts Writing Award. Several of his shorter works have been cited as "Notable Essays” in Best American Essays and Best American Sports Writing. Others have been nominated for the Pushcart Prize. He has also written reviews for The New York Times Sunday Book Review, as well as many feature magazine articles for national and regional magazines. From 1974-1976, he wrote a bimonthly column for the Detroit Free Press Sunday Magazine. In 1998, Steinberg founded the award-winning journal Fourth Genre: Explorations in Nonfiction--one of three literary journals that exclusively publish works of creative/​literary nonfiction. From 1984-1993, Steinberg directed ten contemporary plays (Sam Shepard's True West" and Wendy Wasserstein's The Heidi Chronicles" among them). All were staged in mid-Michigan theaters. Eight plays won a Lansing State Journal "Thesbie"award for directing, acting, and/​or best drama. In July, 2015, the Associated Writing Programs (AWP) chose him for a Spotlight Award, a career prize for distinguished teaching in creative writing. AWP also chose him to participate in the Writer-to-Writer program, a service that matches volunteering mentors with aspiring writers. In 1986, he co-founded and co-coordinated (with Bob Root) the Traverse Bay Summer Writing Workshops for Teachers (1986-1993), and the Michigan State University Overseas Writing Program (1990-1993). He has also been on the faculty of three low-residency MFA programs: Vermont College, Stonecoast/​University of Southern Maine, and currently, the Solstice/​Pine Manor College program in Boston. Steinberg has a PhD and MA in American Literature from Michigan State University, a MFA in Creative Writing from Western Michigan University, and a BA in English/​Theater Arts from Hofstra University. I was born in New York, in Rockaway Beach, Queens, and I came of age in the 1950s. When I became a mid-life memoirist, I found that my richest work invariably resulted from my having mined my most vivid and powerful childhood and adolescent memories. In writing the memoir, Still Pitching, I discovered that almost everything important that shaped my adult identity--my passion for baseball, my love of books, theater, rock and roll, jazz and travel, as well as my stubborn tenacity and persistence, my sense of myself as an outsider, and my predilection for kvetching--all grew out of my New York upbringing. I left New York when I was twenty-five and came to Michigan State in the mid-60s to get an M.A. and Ph.D. in English. Since I was a child, I've loved books and writing. In fact, I'd always harbored dreams becoming a writer. But I didn't seriously pursue that impulse until I was in my mid-forties--the reason being that I was not a very good poet or fiction writer--the two legitimate literary forms at the time. And because I'd read and taught so much "great" literature, I'd virtually talked myself into believing that my own writing would never measure up. For many years then, I was a writing/​composition teacher, a journalist, an occasional playwright, and a director of plays. Early on in my teaching career, however, I'd become enamored of the personal essay. I continued to write, write about, and teach the essay for almost two decades. In the early-90s, when literary/​creative nonfiction became more prominent, I began sending my work out to literary journals. At the same time, I wrote several essays about the form. In 1992, I went back to school, and in 1994, I got my M.F.A. in Creative Writing. In the last several years, literary/​creative nonfiction has become widely recognized as a legitimate form of literary writing. I've been writing, teaching, and writing about the genre ever since. Living in Michigan, Dreaming Manhattan: Selected Essays and Memoirs 1990-2015. “The Writer’s Way is the best book I’ve found yet for teaching first quarter Freshmen their first English writing sequence….” Dr. Sheila Coghill, Moorhead State University. A filter for and an ongoing conversation about essays and magazines of interest.